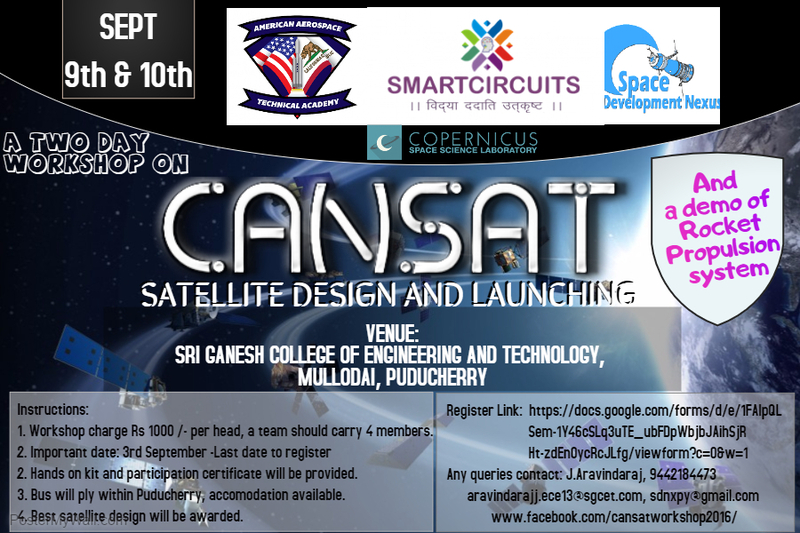 CANSAT- Satellite design and launching Workshop is a premier event organised by Smart Circuits, Haryana with Space Development Nexus. Satellite design kit will be provided. Lunch and snacks will be given. Valid Certification from American Aerospace research Laboratory and Copernicus Space lab.